In e-commerce you can use several different payment options, and usually each of them have different transaction fees & handling costs. 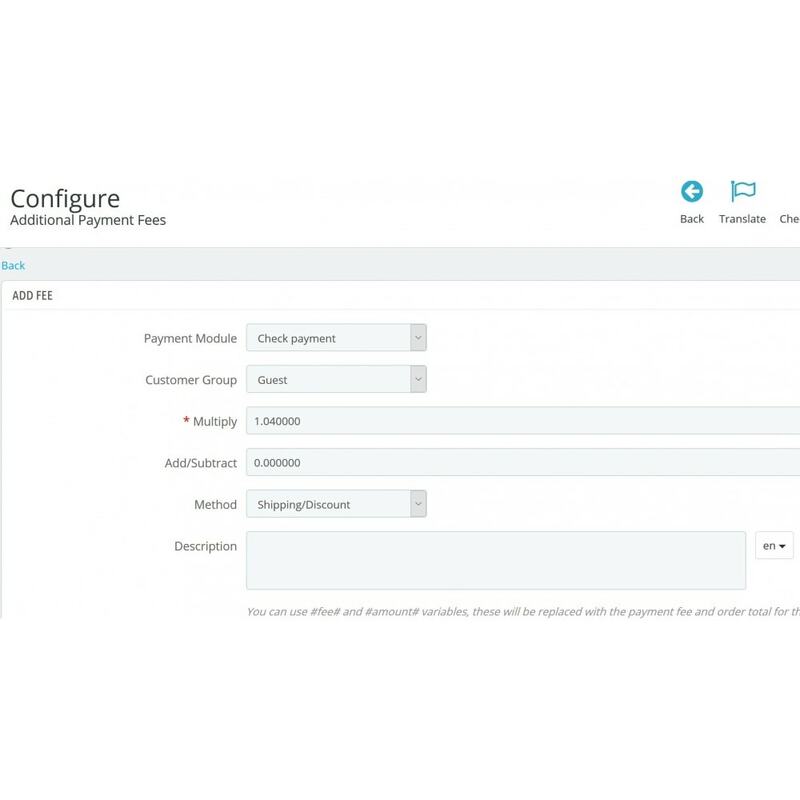 With this Prestashop module you can have additional fees or discounts depending on the payment module used. 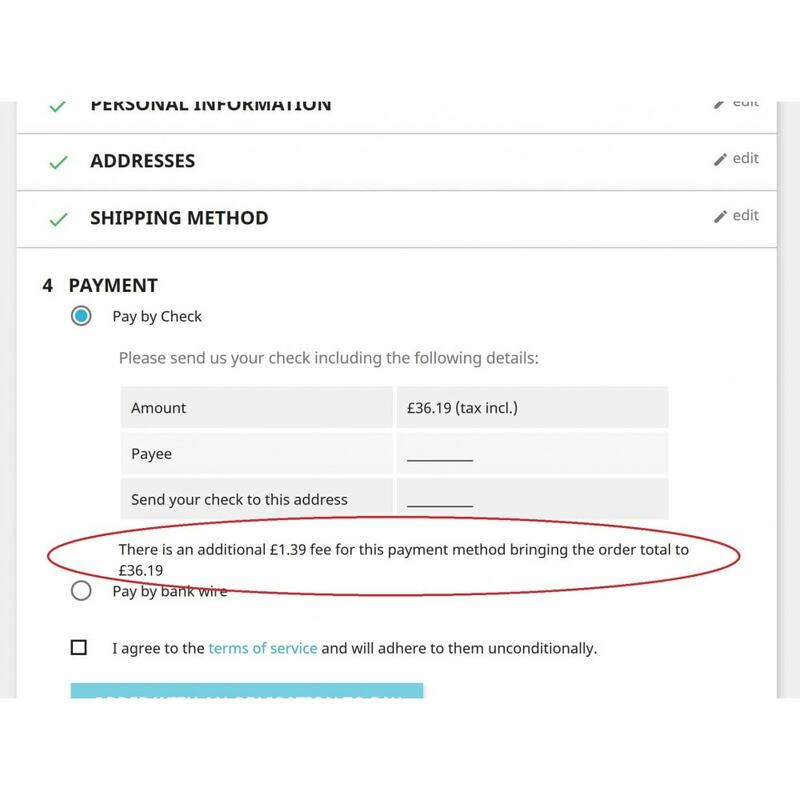 You can have a surcharge or discounts by a percentage of the order or a set amount, or both. 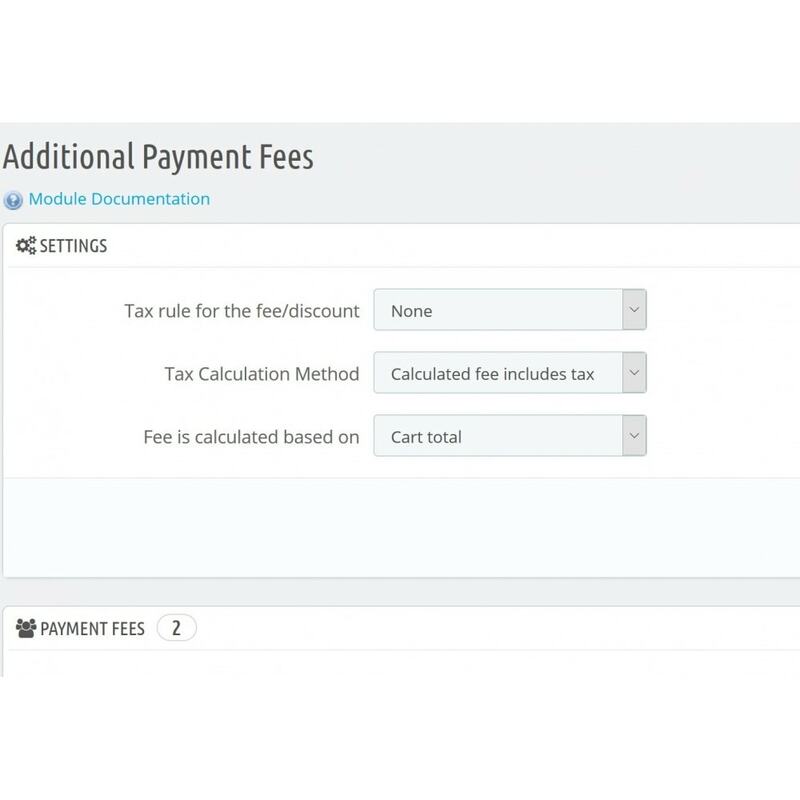 The module also let's you limit the fee/discount to a specific customer group. 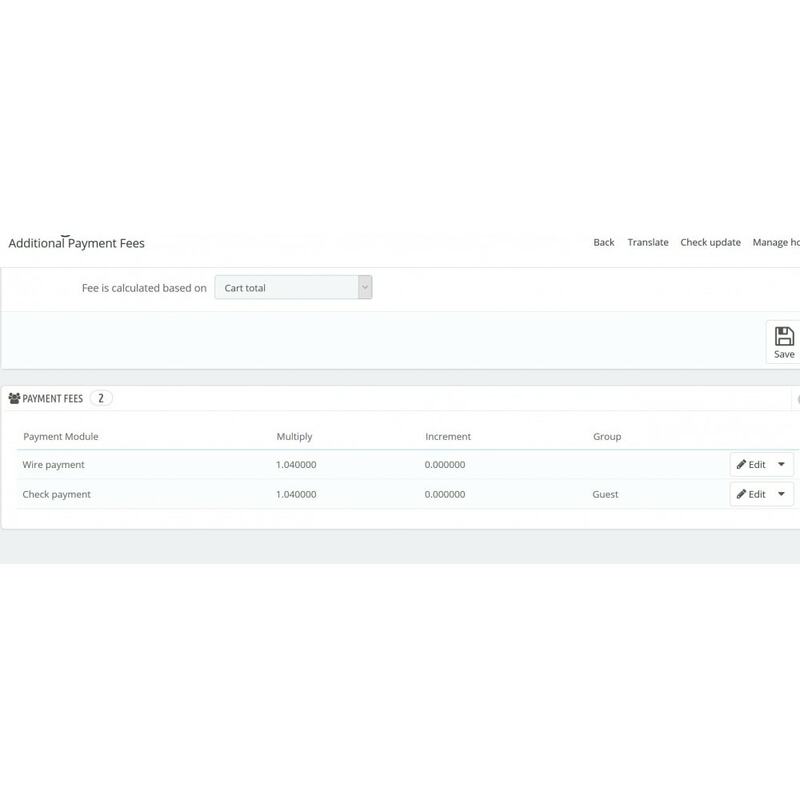 The module displays the additional fee or discount in the order details & invoice. 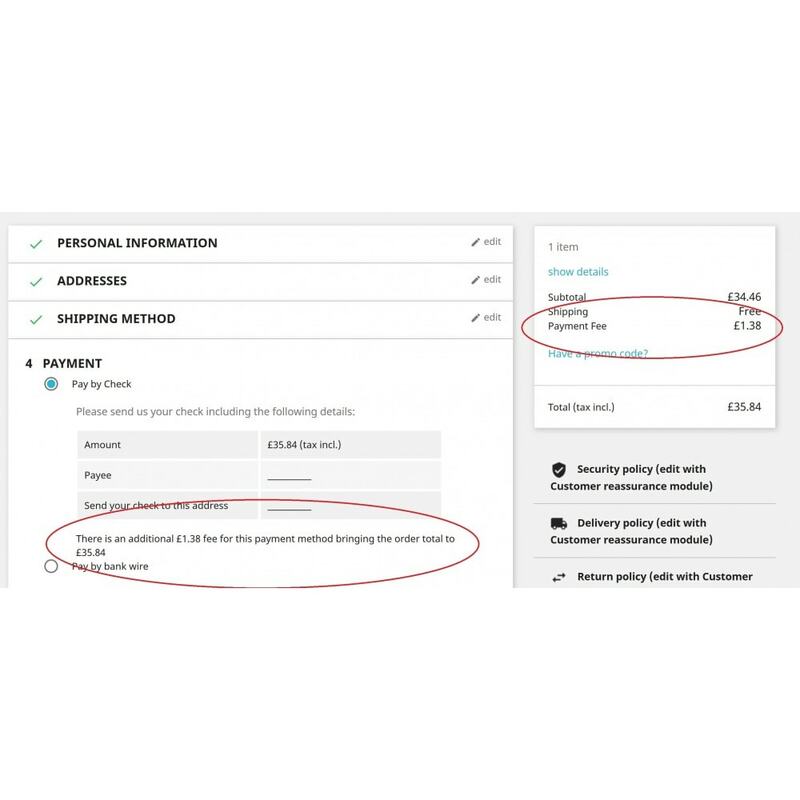 You can also inform your customers how much they would save/pay extra for a particular payment method in the payment summary page during checkout.